Alexa Milne is a new-to-me author, and I found the writing style to be about setting a scene, rather than the scene itself. For a short novella, with very few pages, the characters and story need to be front and center for me. With the scene being set so thoroughly, it cut into allowing me to connect with the story and its characters. Action of movement: picked my bag up, set my bag down, all the steps it takes to get from point A to B. The furnishings in any given location: bed, dresser, wallpaper pattern, decor, and so on. Descriptions of the characters: clothing, hairstyles, and movement actions. As a reader who enjoys using my imagination while learning the who/what/where/when/how/why of the story, the writing style wasn't to my tastes. Due to me being unable to connect to the characters, the story elicited no emotions in me whatsoever, which is why I rated 3 stars. My personal tastes got in the way, lending a wooden/stilted voice to every word I read. However, this wasn't due to the fault of the author, as the book was well-written. I recommend this story to romance readers who enjoy a highly descriptive read, are looking for an hour or so of sweet, romantic escapism with a slightly dark backstory. 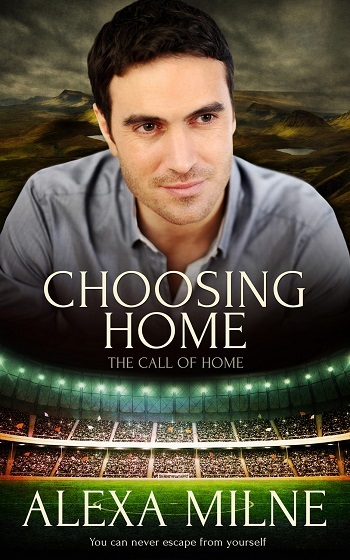 Reviewers on the Wicked Reads Review Team were provided a free copy of Choosing Home (The Call of Home #1) by Alexa Milne to read and review.